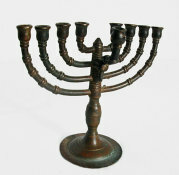 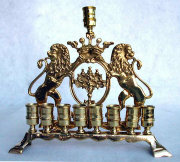 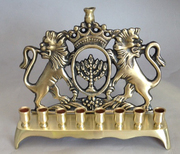 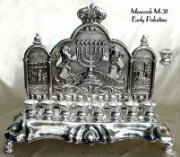 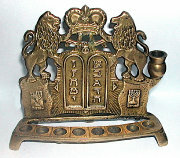 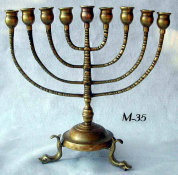 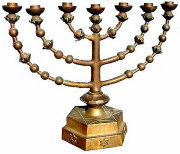 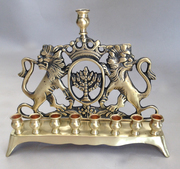 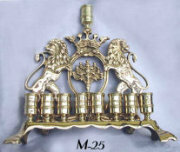 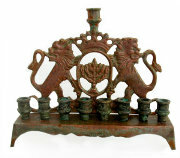 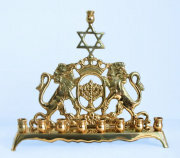 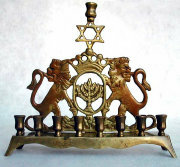 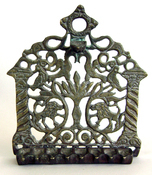 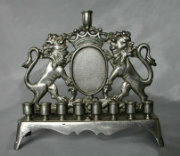 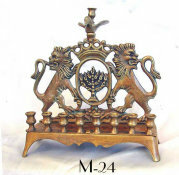 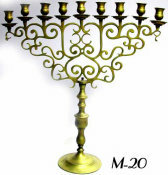 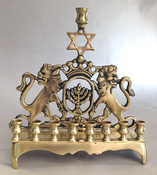 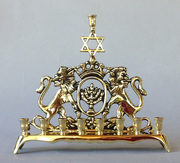 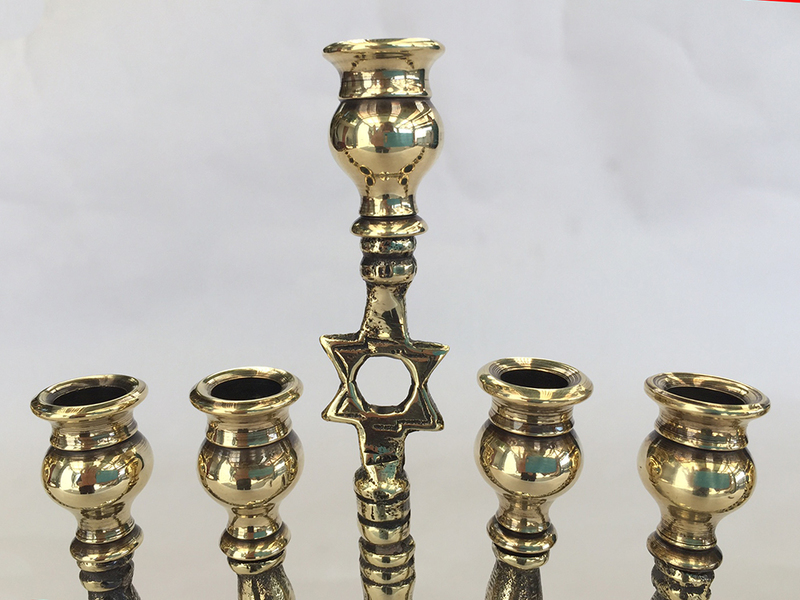 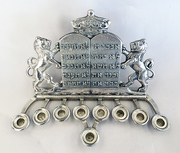 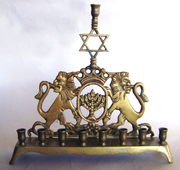 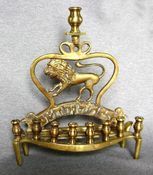 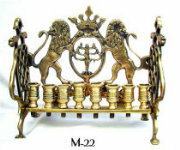 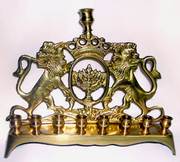 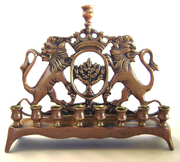 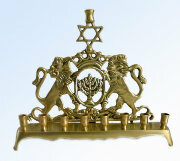 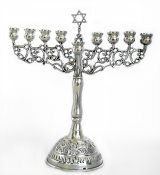 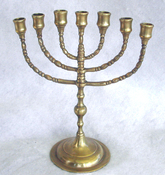 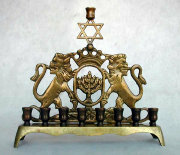 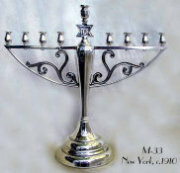 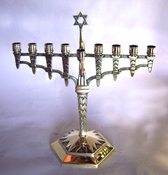 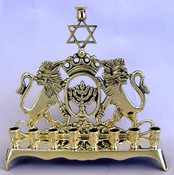 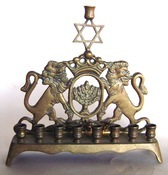 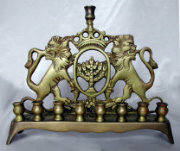 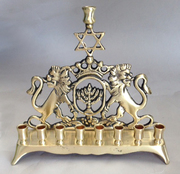 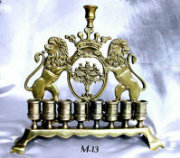 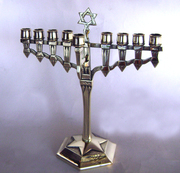 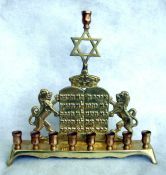 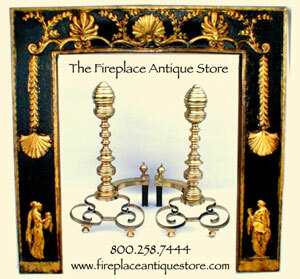 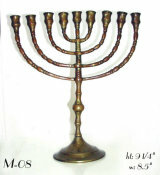 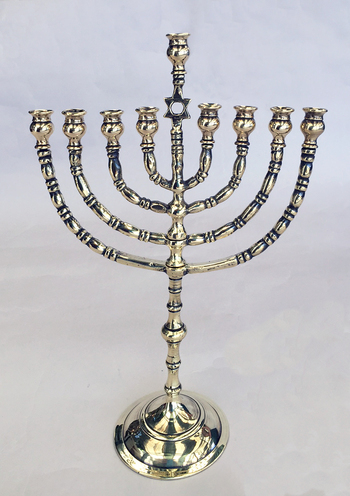 Graceful antique cast brass branched Chanukah Menorah with Star of David supporting Shammus. 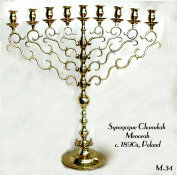 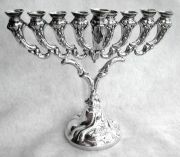 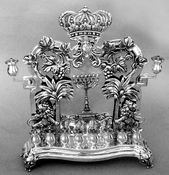 Branches with banded decoration support beautiful candle cups banded above and below. 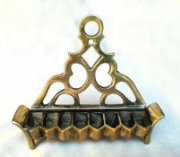 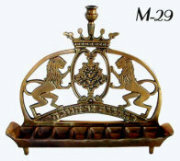 Set atop a domed, banded base with multiple knops. 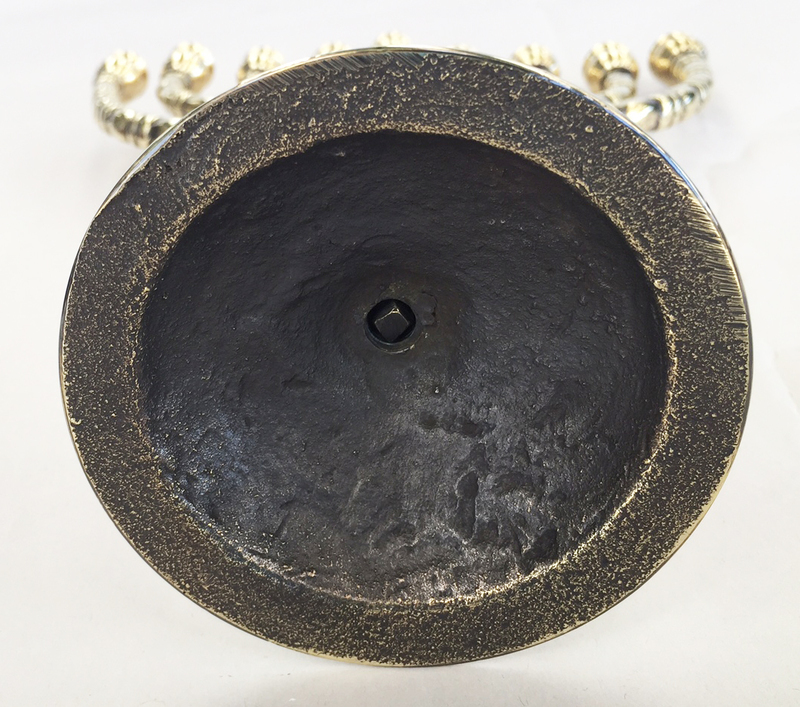 On underside a square hand turned screw shaft with square end..